If you miss the small intimate bookstores of yesteryear, then look no farther. 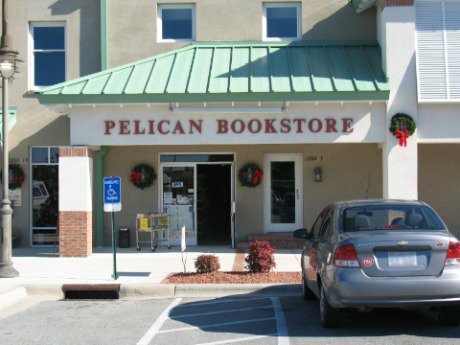 The Pelican Bookstore is a place where the employees have actually read the books, not just the reviews. And if you stop by enough we’ll probably start to remember your name. We carry best selling hard backs, trade and mass market paperbacks, used books, children’s books, local authors, jigsaw puzzles and greeting cards. We even have maps! I did stop by the week of July 4, 2012. 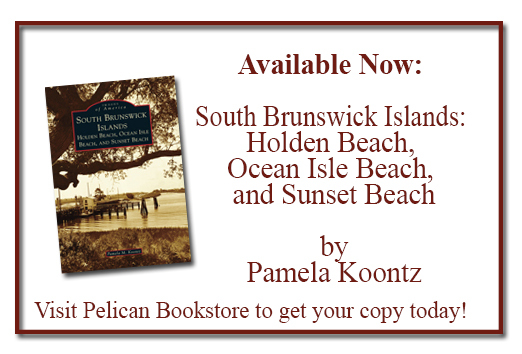 Since we found Pelican Book Store, I have stopped by every summer since we first began coming to Ocean Isle Beach. The store is one of my favorite places to go. All of the women in our family who like to read count it as one place we have to go when at the beach. And I always come away with my arms full of books because the folks who work there do read the books and are thus more helpful than those in any other book store I know. Not only that, they are also knowledgeable. I enjoy seeing them. My husband come down every year from catawba county,and always make a visit! We love the small town bookstores!